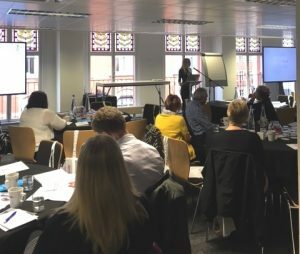 Yesterday, our Chief Executive, Lindsay Weaver, attended the Specialised Healthcare Alliance quarterly meeting to hear Jon Stewart, Director of Specialised Commissioning, talk about plans to integrate more specialised services at a local level and potential changes to the Clinical Reference Groups. Hear Lindsay’s thoughts on how these changes might impact patients and how Metabolic Support UK plan to support the NHS with the challenges they face. 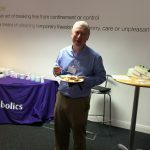 “Yesterday, I attended the Specialist Healthcare Alliance quarterly meeting to hear Jon Stewart, Director of Specialised Commissioning, talk about plans to integrate more specialised services at a local level. As a PPV member of the Clinical Reference Group for Metabolic, I was also keen to understand how the new proposed changes to CRGs would impact our level of engagement and representation of patient experience, needed to inform the way specialised services are commissioned and delivered. This is so important to Metabolic Support UK, given the changes being proposed. 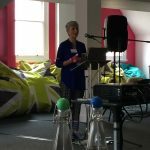 My initial concern at the prospect of localising specialist services was that usually, in my experience, with delegation down away from national commissioning and towards CCG commissioning, there is more variability. This can be a good thing in many areas but with more specialist services, this can often mean that areas with good expertise see better patient outcomes compared to areas with less expertise. The issue is that expertise for some conditions is limited in areas of the country, especially in primary and secondary, which is usually an opportunity to prevent crisis, if treated effectively. It’s reassuring to know that this approach will take disorders, which clearly need specialist care, into consideration and that these will remain in expert centres. But ongoing treatment might be localised, and this presents a challenge for our rarer disorders in ensuring that local services understand the patient’s complex needs. The CRGs are Metabolic Support UK’s main vehicle for collaboration with Clinicians and where we can support NHS England by providing clinical data alongside patient experience and feedback to inform changes. The hope is that we will be given the opportunity to offer views on the proposed changes, but I also remain reassured after today that the fundamental principles of the CRGs will not change. Ravicti is the first liquid formulation of phenylbutyrate, which is virtually tasteless and odourless. 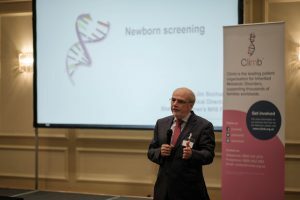 This treatment, a more palatable alternative to sodium phenylbutyrate will be provided via specialised metabolic commissioning centres across England and Scotland for the long-term management Urea Cycle Disorders (UCDs) in adults and children from the age of two months who cannot be managed by changes in their diet alone. Unlike other phenylbutyrate products, which are in powder or tablet form, liquid glycerol phenylbutyrate may be taken by mouth via an oral dosing syringe. UCDs are a group of very rare, serious, life-threatening, inherited defects of the urea cycle, the biological process responsible for converting ammonia to urea, a waste product that is excreted in urine. Failure to convert ammonia in affected patients leads to the accumulation of toxic ammonia levels in the blood and brain. High ammonia levels can cause coma and irreparable brain damage, which may result in long-term complications such as cognitive impairment, seizures, cerebral palsy and death if not properly managed. UCDs affect patients of all age groups, with some exhibiting symptoms shortly after birth and others presenting during adulthood. UCD patients are treated and monitored from the time of onset onwards. If any UCD patient, currently taking sodium phenylbutyrate would like to access Ravicti as an alternative treatment, they are advised to discuss this with their metabolic teams. 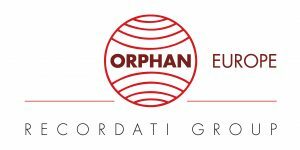 Metabolic Support UK, as the umbrella patient organisation for Inherited Metabolic Disorders, is disappointed that NICE does not recommend re-imbursement of the treatment burosumab for X-linked Hypophosphatemia (XLH) in children and young people following the recent Highly Specialised Technologies evaluation. Burosumab is the first and only treatment to target the underlying pathophysiology of XLH. An injection given every two weeks from the age of one until the skeleton stops growing, aims to increase reabsorption of phosphate from the kidney and, through vitamin D production, improve intestinal absorption of calcium and phosphate. 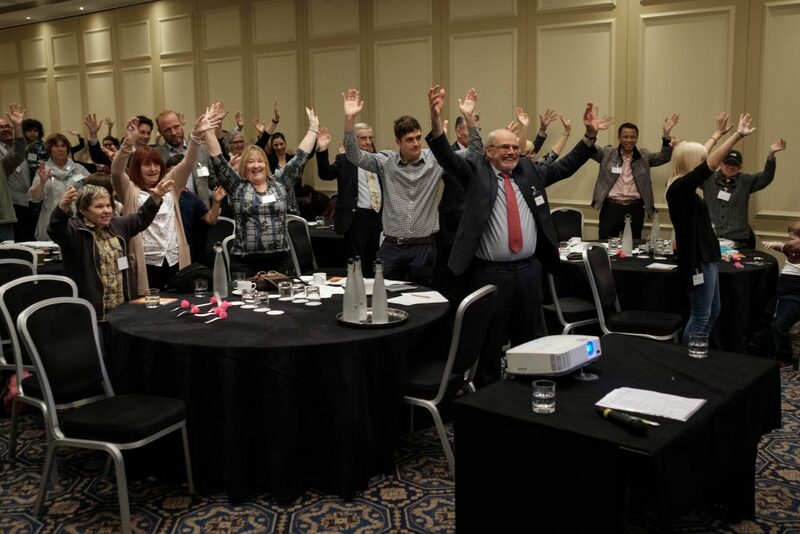 Metabolic Support UK has seen the positive impact on XLH patients who have received the treatment under the clinical trials and early access scheme. Parents of children that have benefitted from the treatment report strong improvements in adherence to the treatment pathway, physical functioning, mobility, bone density and straightening, pain levels and social inclusion; overall impacting on the quality of life and mental wellbeing not just for the patient but their parents/carers and wider family. Clinical experts stated, during the Committee meeting, the clear benefits of the treatment for all children affected by XLH and that early treatment would reduce the need for surgical intervention and avoidable suffering. 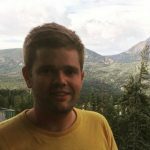 While we are pleased that the Committee recognises the meaningful clinical benefits of burosumab and the lasting effect over the patient’s lifetime, due to the prevention of irreversible bone damage, we do not feel that the long-term benefits when patients reach adulthood have been fully considered. Though the marketing authorisation for burosumab does not include adults, early access to, and adherence of, this treatment during the pivotal bone growth years could bring substantial benefits post-adolescence. We believe the Committee’s conclusion stated in 4.13 ‘burosumab would not improve other aspects of XLH in the long-term’ does not address the fact that fixing or correcting skeletal deformities during childhood will see the improvements continue into adulthood. Adult patients successfully treated as children will see an improvement in the lifelong disability, a reduced need for corrective surgery and experience less debilitating pain and mobility issues. The social and psychological benefits seen by patients on the clinical trial as a result of the physical improvements will also continue into adulthood, reducing the burden of care in the long-term. Metabolic Support UK has engaged and endeavoured to bring the patient voice and experience into the process where possible. The data and evidence in this area is limited, in common with all products considered under the current Highly Specialised Technology appraisal process. We hope that NICE, NHS England and all stakeholders can work together to agree a way to ensure patients will receive access to this important treatment that would have a substantial impact on quality of life and ability to participate in everyday activities over a lifetime. Metabolic Support UK; the new name for Climb! As you may know, we have been working hard over the past year, listening and reviewing all of the services that we offer and strengthening our understanding of the key issues for patients living with Inherited Metabolic Disorders (IMDs), and their families, today. This consultation, including several focus groups, discussions and interviews with patients and families of all ages, as well as medical professionals, other patient organisations and key decision makers, has helped with the development of an exciting new strategy and business plan. This will enable us to build upon the areas that will make the most impact for our IMD community . It will help us to improve the services that we deliver to you, as well as ensuring your voices are heard, and raising much needed awareness of IMDs. The consultation highlighted the need for us to provide more practical support, and more opportunities for you to connect with and support each other. We heard about the daily challenges and how, for many patients and families with IMDs, life is often a struggle and fight. You also told us that you want us to do more to fight on your behalf; for research, access to treatments and services, improved diagnosis and better care. All of this links closely with our continuing vision – what we are working towards for you; a better life for those living with Inherited Metabolic Disorders and their families. As a result, in order to better communicate who we are and what we do, we are excited to announce our new name, strapline and logo! We are confident that with a more descriptive and inclusive name, and fresh new look, we will be able to better communicate what we do, reaching more people and making it easier for patients, families, professionals and other organisations to find and engage with us. Importantly, we want to communicate that we are your patient organisation, working for you, and with you. If you have any questions or would like any further information please get in touch! PS: If you haven’t yet taken part in any of our consultations, there will be plenty of opportunities in the future as we plan to continue working collaboratively with our friends, supporters and partners to ensure that we are delivering the best services to you! We are pleased to confirm the itinerary for the Climb Annual Conference on 14th October 2017 at the Macdonald Burlington Hotel in Birmingham. It’s going to be an informative day with plenty of opportunities to meet and get to know other families, hear from a range of speakers and help us to shape our services for the future. To book your place now, please click here. 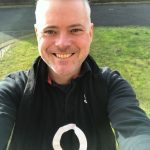 10.40 am Genomes London (Dr Richard Scott) – The Genomes project, its aims and the opportunities for participants and researchers and our plans after the 100,000 Genomes Project. 4.00 pm My Metabolic Hero (Joanne Taylor, Climb) – The Winner and the future! pain management, Strensiq, and clinic visits. 3.30 pm Deborah Fowler President of Soft Bones US: Advocacy and why it is important. The AmBeR project team will provide an update on the BreathDX technology for monitoring ammonia levels, which will soon be tested in both hospital and home settings. There will be a chance for you to have a close look at the technology, and you will be invited to advise on some of the aspects of home testing, to help us make this process as straightforward as possible for the families who participate. 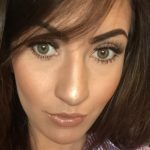 You will also be asked to advise the AmBeR team about the kind of detailed information they should collect from families alongside home testing activities, to gain an all-round picture of what life is like for families living with UCDs and assess the potential value of the new technology. 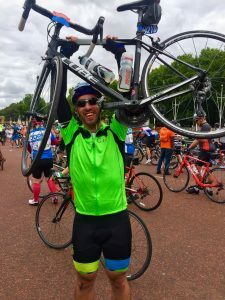 A huge thank you to our 7 Team Climb cyclists Marc Wittenberg, Kevin Hancox, Kate Jenkins, Emily Cullum, Jade Devonshire, Andy Law and Jaq Pearce who took part in the RideLondon 46/100 event on 30th July 2017. Not only did they take on this fantastic challenge for Climb, but together they raised over £4,700! The feedback on the event was fantastic and we are so glad that everyone enjoyed the cycle! Kate’s inspirational story was also featured in her local newspaper, read the article here. “I am very proud to have raised so much for a charity that means so much to us. 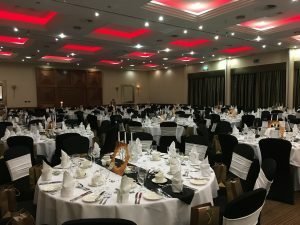 The event itself was fantastic – it was very well organised and incredibly professional from all the planning to the day itself. There was an incredible buzz riding on closed roads with so many other cyclists and the crowd support was brilliant. I would highly recommend it and personally felt very proud to ride for Climb. If you would like to apply for one of our Golden Bond places for 2018 please sign up here. 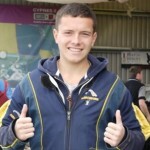 After hearing the latest news on this case, Charlie and his parents are in the thoughts of everyone at Climb. Our thoughts also go out to all those involved in the care of Charlie. Climb exists to raise awareness of Inherited Metabolic Diseases including Mitochondrial Disease. It is important that we continue to collaborate with other organisations in the rare disease world to support research and develop the right pathways to support and care for parents and families affected by these devastating conditions. 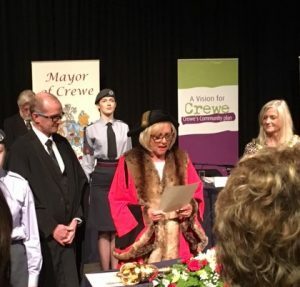 M&Co in Nantwich held a fantastic fashion show in aid of Climb on Wednesday 5th July, which was attended by over 50 people including the Mayor of Crewe, Cllr Diane Yates. Models, including staff, customers and their families and friends from the local community (and our very own founder, Lesley Greene) took a turn on the catwalk, showcasing the latest seasonal fashions from the ladies, men’s and children’s collections. 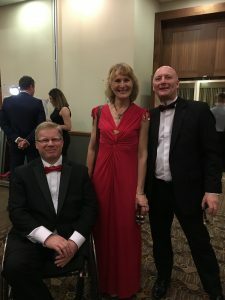 The event was organised by Penny Lewis, Store Manager at the Nantwich branch of M&Co, following the success of the first fashion show in aid of Climb last year. 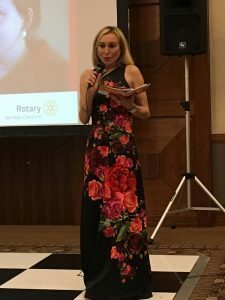 In addition to the fashion show, the evening included a raffle with prizes such as a Kipling rucksack, jewellery, wine, chocolates, gift vouchers and a signed book from author Milly Johnson. Guests were treated to refreshments as well as an exclusive discount on purchases in the store. July 2017 – After a 2 year process Climb is pleased that NICE has published draft guidance recommending the drug Strensiq (also known asfotase alfa) for people with paediatric-onset hypophosphatasia. The funding agreement between NHS England and Alexion Pharma is based on a 5-year Managed Access Agreement which means that patients with pediatric onset hypophosphatasia (HPP) regardless of age who are most in need, will get access to this often life saving treatment. This follows the recommendation of the drug asfotase alfa for children with perinatal- and infantile-onset HPP. Climb has been the patient organisation consultee in the UK Government NICE process – representing people of all ages with HPP, from families with newborns through to adults living with the condition. The Brittle Bone Society have also fully supported this process. To continue our efforts we will be following the progress of the Managed Access Agreement, which involves the collection of information to support the evidence to continue access after the initial 5 year period. The official draft recommendation by NICE can be read here. A unique and exciting event, packed with speakers discussing the latest innovations in XLH, along with opportunities to network with other families. This event is now fully booked. Videos of the speakers and discussions will be available following the event. The project aims to sequence 100,000 whole genomes from about 70,000 people. Participants are NHS patients with certain types of cancer and patients with rare diseases plus their families. With their consent their genomes will be sequenced and linked to details about an individual’s medical condition. Doing this may help medical teams provide better diagnosis or treatment. But it may not, because not enough is known yet about the meaning of all the genomic data. Read more about the results and main findings here. By adding key information from medical records too and putting all the data in one highly secure place, scientists can compare the data from tens, hundreds or even thousands of people with the same condition. Allowing approved scientists to have monitored access to this data is a very powerful way to understand the causes of ill health and how to treat it. 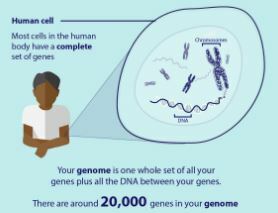 Your genome is one whole set of your genes, plus all the DNA between your genes. There’s a copy in almost every cell of your body and it’s the instructions for making, running and repairing you. Genes account for less than 5% of your genome. It used to be thought that the rest of the DNA was junk but now we know all of your genome is important. That’s why we’re doing whole genome sequencing. Sequencing means reading all the 3 billion DNA letters in your genome one by one. And now we know. Every letter counts. Improving care for patients: Some patients with rare disease may get a diagnosis for the first time or discover what treatment might work best. Setting up an NHS genomic medicine service: By the time it finishes, this project will have put everything in place to enable the NHS to offer genomic medicine to those patients who need it. 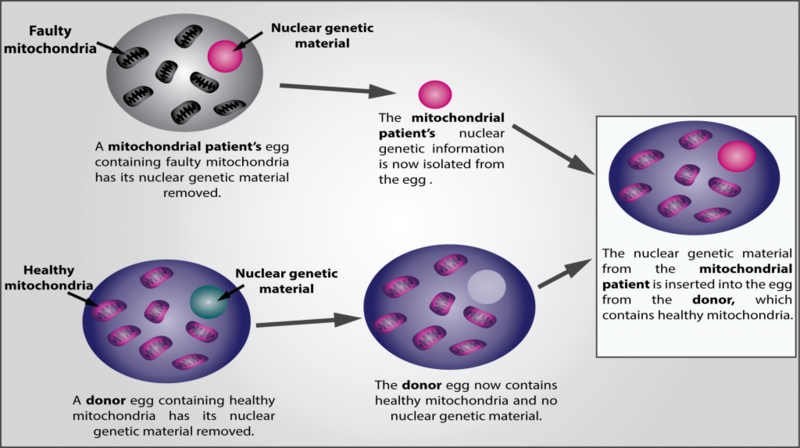 Genomic medicine will mean personalised treatment for patients. For future generations: By looking at all the 100,000 Genomes Project data, scientists will gain new insights and understanding about the cause of disease and fine better ways of helping patients, especially those who have conditions that are currently hard to treat. To kickstart a UK genomics industry: Participants generously agree that researchers from industry such as pharmaceutical companies can look at their data. This is the best and quickest way to ensure that understanding from the project is turned into new medicines and diagnostics for patients. It will also help establish new jobs and companies in this important field in the UK. 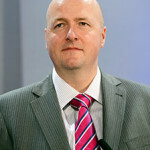 The project is being run by Genomics England, a company wholly owned by the Department of Health. Genomics England is working together with NHS England, Health Education England and Public Health England to deliver the 100,000 Genomes Project. NHS Genomic Medicine Centres (GMCs) have been set up across the country to recruit patients, take the samples and provide medical information on the project. At the moment, patients with certain inherited rare diseases plus their families, and some common cancers may be able to take part. Patients will be invited to take part by their hospital doctor. At the moment only people under the care of the NHS in England can join. Those in Scotland, Wales and Northern Ireland will be able to take part soon. Taking part does not affect routine NHS care. Patients should be referred to their local GMC by the clinical geneticist or hospital consultant. If you have not been referred, and think that you are eligible, please ask your metabolic consultant if you can be referred. The project is in the early stages. In the future, it is possible that patients with other conditions, and those in other parts of the country will be able to take part too. If you would like to know more about the 100,000 Genomes Project, please call their information line on 0800 389 8221 (9am to 5pm Monday to Friday). Please note the information line can’t tell you if you are eligible to take part, or give individual medical advice. 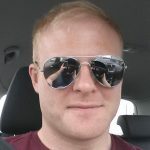 The Department of Health and NHS England recently made a commitment to develop an implementation plan for the UK Strategy for Rare Diseases in England, which is a really positive outcome for those affected by Inherited Metabolic Disorders. With the General Election taking place on 8th June, we want to make sure that your voices and needs are represented in Parliament, ensuring this commitment becomes a reality under the next Government. 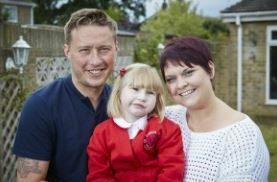 Rare Disease UK have launched a Pledge for Patients campaign, calling on prospective candidates to pledge their support for people affected by rare, genetic and undiagnosed conditions. In order to ensure that those affected by rare conditions get access to the right care and treatment after the next General Election, we need your help. We’re asking patients with rare, genetic and undiagnosed conditions to write to their prospective parliamentary candidates (the people who hope to be elected as Members of Parliament) and ask them to sign our pledge card, agreeing to work on behalf of their constituents who are affected by these conditions during the next parliament. By signing the pledge card we will have a signed commitment that we can use to hold each elected member to account. 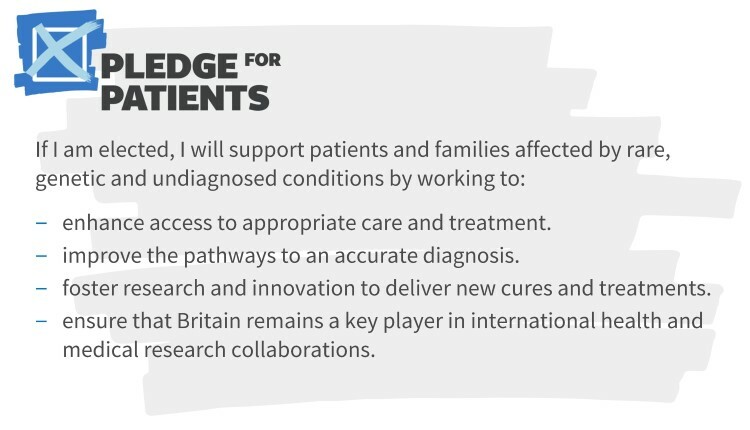 All the information, including template letter and help finding candidates, can be found on the Pledge for Patients website. Candidates can sign the Pledge for Patients here. Please add your voice to the campaign and encourage your prospective MPs to sign the pledge! Our exceptional runners have kindly shared their individual stories of why they took part in this extraordinary event for Climb. We would like to thank Team Climb for all of their massive fundraising efforts, hard work and enthusiasm! “I ran the 2016 London Marathon for Climb and absolutely loved the atmosphere and seeing the dedication others have for their chosen charities. I knew from the moment I stepped over the finish line that I wanted to run it again in 2017. Climb is a charity very close to my heart, after losing my son Ethan who had a metabolic condition called OTC in March 2015. Climb were there for me and with their continued support they have enabled myself and my family to be strong and remain strong when times are hard. 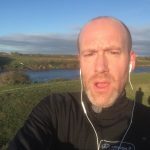 I am training hard in the gym to build my fitness and strength, and am also running regularly outside concentrating on endurance. I am hoping to complete the marathon within 5 hours. 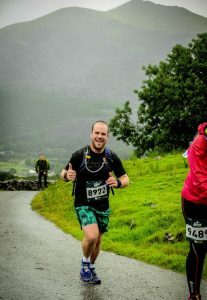 “I am a Corporal in the Royal Marines and took part in the 2017 London Marathon for Climb as I believe in the good work that they do, and wanted to help them by raising as much money as possible, as well as letting people around me know what Climb is all about and getting them on board with the great they do for people who suffer with Inherited Metabolic Disorders. 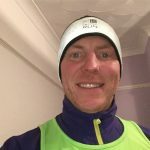 “Why am I running the 2017 London Marathon? Simple! 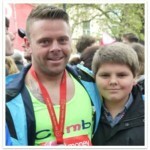 Louis is an amazing young man, and he and his family benefit from the support from Climb. I can’t make Louis better, but I can put in a bit of time, eat loads of pasta, and get super fit to raise money for such a worthwhile charity. “We are the ‘Mad Marathoners’ – Vicky, Lindsay and Lou. My nephew, George, has a very rare metabolic disorder which without careful control of his diet, could potentially be life-threatening. He is an absolute delight, he never complains despite numerous hospital visits, blood tests and the fact that he can’t have a lot of what the other children take for granted in their diets. The Minister of State for Health, Philip Dunne MP, has announced that NHS England will develop an implementation plan by the end of the year for the commitments outlined in the UK Strategy for Rare Diseases. For those affected by Inherited Metabolic Disorders in England this is a fantastic result and ensures that the Government will be accountable for the delivery of improves services and patient care. A debate on the implementation of the UK Strategy for Rare Diseases took place at the House of Commons on 28th March 2017. 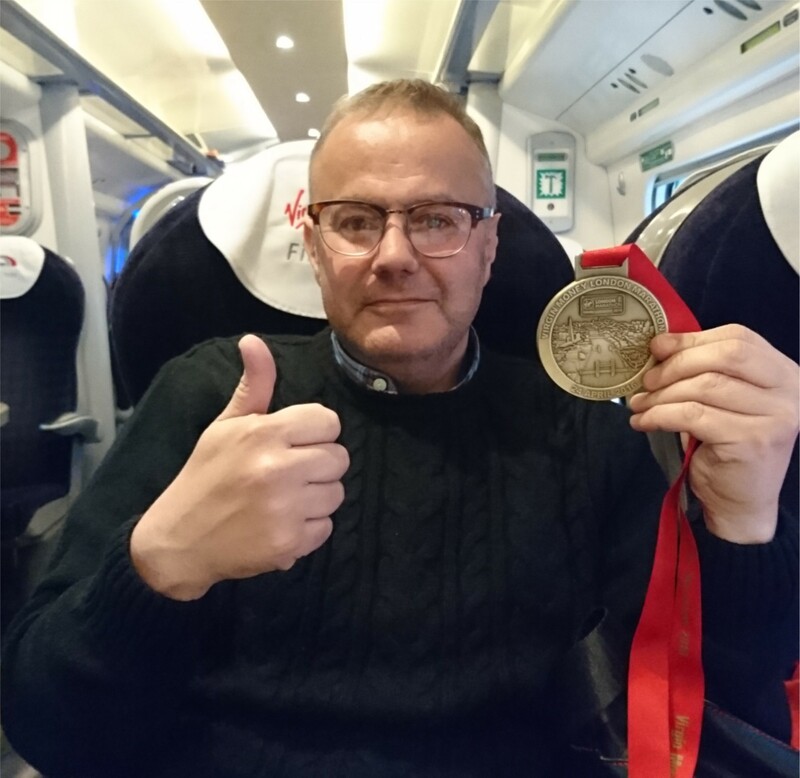 Ben Howlett MP, chair of the All Party Parliamentary Group (APPG) for Rare, Genetic and Undiagnosed conditions introduced the debate, which was attended by a number of MPs representing patients from across the UK. 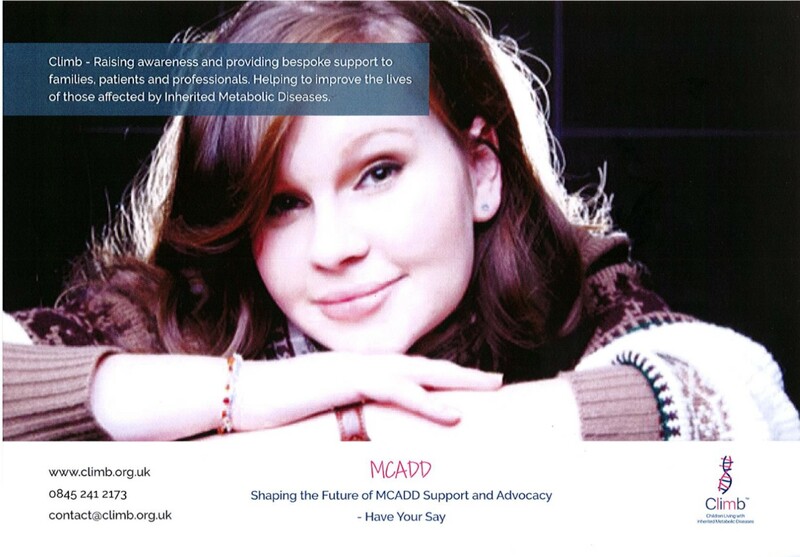 3.5 million people in the UK will be affected by rare disease at some point in their life. Despite the enormity of the issue, a significant proportion of these patients do not have access to the right care and treatment. 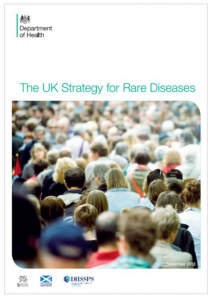 The UK Strategy for Rare Diseases was published in 2013 and was the first time all four health departments of the UK came together to recognise and respond to the needs of all those affected by rare diseases. The aim of the Strategy is to ‘ensure no one gets left behind just because they have a rare disease’. The Strategy contains 51 commitments to ensure that health and social care systems across the four nations provide those living with rare conditions with the highest possible quality of evidence-based care and treatment, regardless of where they live in the UK. The first step in delivering the 51 commitments was the promise that each UK nation would publish their own national plans by the end of February 2014. While implementation plans have been developed in Scotland, Wales and Northern Ireland, over three years later, patients affected by rare diseases in England do not have a plan detailing how this valuable Strategy will be implemented. 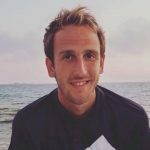 As part of the Patient Empowerment Group, established by Rare Disease UK, Climb will continue to ensure that the patient voice is properly informed and effectively represented in the implementation of the UK Strategy for Rare Diseases. 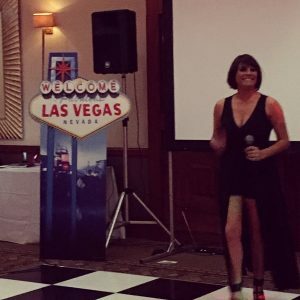 The glitz and glamour of Las Vegas came to Crewe Hall Cheshire in Cheshire on Saturday 25th February 2017, for the inaugural fundraising charity ball of the Rotary Club of Bentley Cheshire in aid of Climb and Young Minds. 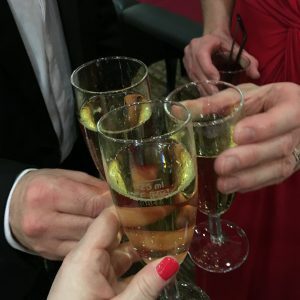 The evening began with a drinks reception, the bubbles and laughter flowed! Everyone really embraced the red and black theme and there was a great atmosphere in the room! 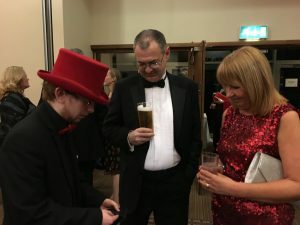 The drinks were accompanied by a close-up Magician, who thrilled guests with his repertoire of tricks! A three-course dinner followed, the theme continued to the tables and dance floor. 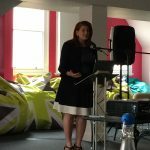 Lindsay Weaver, Climb’s Executive Director, delivered a passionate speech, giving an insight into some of the families that we support and the vital work that we do to improve the lives of those affected by Inherited Metabolic Disorders. 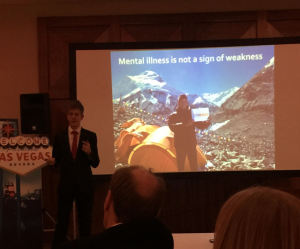 21 year old Adversity Adventurer, Alex Staniforth also delivered a motivational talk about what drives him to undertake challenges such as climbing the world’s highest peaks, whilst raising funds for charities close to his heart, such as Young Minds. 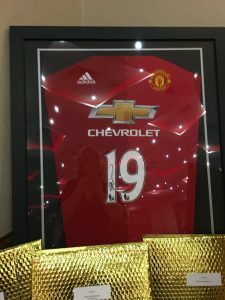 As the food and drinks flowed, the charity auction was announced, with fantastic lots such as a Manchester United shirt signed by Striker Marcus Rashford, a glamorous makeover at Harry Jon salon, a very special Schumacher brand cap, signed by the F1 legend himself, and a family holiday with Eurocamp. A lot of fun was had, with guests outbidding each other to bag themselves a great prize and raising lots of money for the charities! Then it was time for the live entertainment! 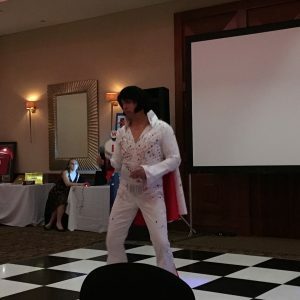 The first act was John Kinghorn, from Bentley Motors, who treated guests to a rousing rendition of some of the greatest hits of Elvis! 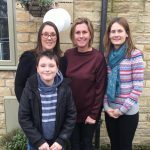 John was followed by special guest, X Factor’s Rebekah Ryan, who received support from Climb following the sad loss of her little boy Ethan, from Sandhoff’s Syndrome. Rebekah’s energy brought everyone to the dance floor with her versions of popular hits including Amy Winehouse, Tina Turner and Nancy Sinatra. Rebekah rounded up her set with the song that she wrote on the day that Ethan was diagnosed and there wasn’t a dry eye in the house as she performed the emotional song. 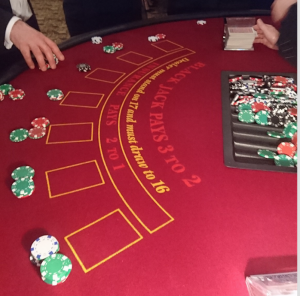 The evening continued with a fun casino and dancing into the early hours! 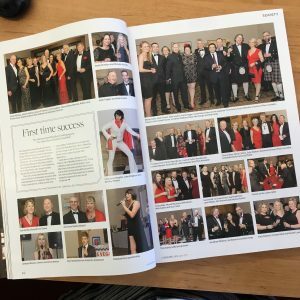 Check us out in the pages of Cheshire Life magazine! The final amount raised on the night, via ticket sales, auction and raffle was a fantastic £8,500 which was split between Climb, Young Minds and the Rotary Chariatable Foundation – an amazing amount of money which will make a real difference to the charities. 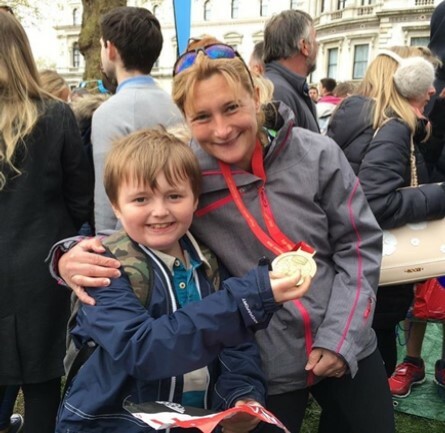 We have some great ideas of how we plan to use the money in a way which will not only raise awareness of Inherited Metabolic Disorders, and give a voice to the families we support, but also create a legacy from this special event. 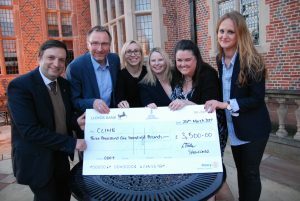 Here we are with members of the Rotary Club of Bentley Cheshire, being presented with our giant cheque at Crewe Hall! This was the first event of this scale that the Rotary Club of Bentley Cheshire have organised and was a huge achievement for the club, which is still in its first year! If the Ball was anything to go by, the club is going to go from strength to strength and make a huge difference to the community. We would like to say a huge thank you to everyone involved; this was truly a team effort with lots of people behind the scenes, kindly volunteering time and skills to help organise and run the evening. 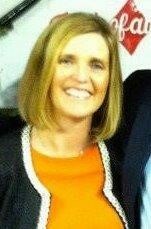 Special thanks to Sarah Newcombe who did a sterling job of project managing the whole event! Many thanks too, to the fantastic performers, all those who donated auction and raffle prizes and everyone in between! Last but not least to the 233 guests who made it such a night to remember, we wish we could do it all over again! Climb has appealed the NICE Review Committee decision not to approve the treatment of severely affected juvenile and adult patients with the treatment asfotase alpha. Whilst Climb is extremely pleased that the treatment will be available for all perinatal and infantile cases of the disorder under the Managed Access Agreement criteria, they are disappointment with the final decision. The appeal is based on some procedural issues. Climb has fully engaged in this process at every stage driven by the commitment to ensure that the patient experience of this ultra-rare disease has been represented, which is vital to NICE for decision making. However Climb did not have a place on the panel to represent juvenile patients at the final meeting. This may have affected the ability of the panel to make a decision. There was no evidence that NICE have taken into account some of the crucial information previously submitted and would have welcomed the opportunity to present these key areas again at the final meeting. UK patient support charity, The Brittle Bone Society are pleased that treatment will be available for all perinatal and infantile cases of the disorder HPP under the Managed Access Agreement criteria but are minded to support comment alongside Climb and share their disappointment with the final outcome not to approve the treatment of severely affected juvenile and adult patients with the treatment asfotase alpha. The Brittle Bone Society were consultees in this process. 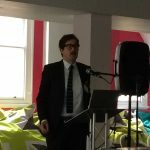 As advocates of the rare disease community (albeit focussing their support primarily for people with Osteogenesis Imperfecta) it is imperative that alongside our colleagues at Climb we continue to seek assurances from NICE to take full account of clinical and professional expertise and testimony in these matters. From the report findings it looks like healthcare professionals stated clear benefit for children with juvenile onset HPP and that treatment would prevent avoidable suffering of these children. The Charity has engaged where possible in this process and hopes for a better outcome for the HPP community. Juvenile patients who would benefit would be suffering considerably with the disease and it would be impacting on their quality of life, specifically their mobility and pain levels as set out in the stringent Managed Access Agreement criteria. Taking into the account the range of clinical experts and also the patient consultation carried out, Climb believe that the Managed Access Agreement is robust and its still not clear why NICE has not taken into account the clinical expertise offered. Data around juvenile patient numbers seems to not have been taken into account. The Climb appeal has been supported in writing to by all the clinicians involved. The clinical expertise for adults was absent from the final meeting. This disease in adults causes immense suffering due to constant debilitating pain and reduced mobility. Over a length of time without treatment this causes other significant health problems. The medical information in this area is limited but believed by our experts that the treatment could significantly improve the lives of these adults. For anyone who does not respond to treatment, the treatment will not be continued. Climb believe that the expert views on this were not taken into account or given the opportunity to present this information for the NICE panel’s consideration. An oral hearing to consider this appeal was due to take place on Thursday 13th April 2017. Prior to the appeal hearing NICE agreed to consider additional information provided by Alexion (the manufacturers of asfotase alpha). In order to allow the NICE Highly Specialised Technologies committee to undertake this process the scheduled appeal hearing was cancelled, and the additional evidence will be reviewed to ascertain if this alters the recommendation for this product. For more information, please contact Climb on 0845 241 2173. 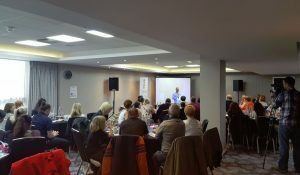 Over 100 people attended the latest Climb conference; Transition and Adult Care, which took place on Saturday 8th October 2016 at The Studio, Birmingham. We understand that the transition from paediatric to adult care is a worrying time for patients and their families, so we developed a full programme to open discussions and help make this process as smooth as possible. The main conference was introduced by Climb’s Executive Director Lindsay Weaver, who outlined the aim of the day; to bring together patients, families and professionals under one roof to discuss how transition affects all parties. We were also fortunate enough to hear from 16 year old Dominic Blore-Rimmer, who was diagnosed with MCADD two years ago, and Alex Aebischer whose son Carlo has Citrullinemia. Both speakers discussed their personal experiences with transition and answered a number of questions. 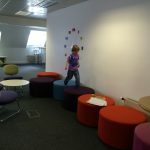 In our break-out room, we had a separate programme for teens and young people. Muscular Dystrophy UK Trailblazers opened the session with an inspiring talk about how young people can turn living with a long-term condition into a positive by providing a voice and getting involved with campaigns. This was followed by a fantastic insightful talk by Thomas Wadsworth, a young person living with CAH who shared his experiences and answered lots of questions. A lively cookery demonstration by Nutricia showed the group how to make quick and tasty low protein dishes such as stuffed peppers and apple crumble. The afternoon workshop was led by Footsqueek and included fun, creative activities designed to explore the feelings of young people living with complex conditions, and their needs. The output from this workshop will inform the development of a fabulous video resource for teens by teens, so watch this space! While it is clear that there is a way to go before the process is consistent across all regions, we hope that the day helped to open the lines of communication between families and professionals to equip them for, and empower them to improve transition. Nutricia has been a founder within the Metabolic category for 120 years. At Nutricia we put the needs of people at the heart of our business. Our sole purpose is to pioneer nutritional discoveries to help people live longer, healthier lives. We offer a wide range of protein substitutes and low protein foods for the dietary management of Metabolic Conditions. Our unique product range is tailored to guide patients through every step of life. To meet existing and emerging patient needs, we have a broad portfolio of support services. Through our Nutricia Homeward Metabolics and Specialist Service, we deliver nutritional feeds directly to patient’s homes at a convenient time. We also have extensive online resources, including our new website lowproteinconnect.com, where recipes, news articles and stories from real patients can be accessed. 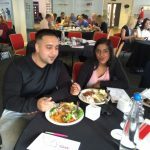 Our social media pages also provide patients with opportunities to connect with others on a low protein diet. 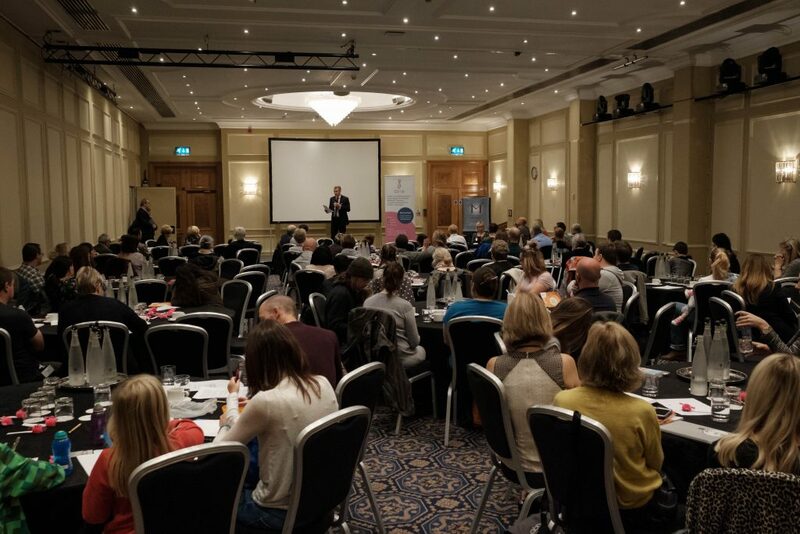 We organise a variety of events throughout the year, all over the UK and Ireland to allow patients to come together and enjoy a fun day out, as well as find out about the latest innovations and key updates in Metabolics. Horizon Pharma plc is a biopharmaceutical company focused on improving patients’ lives by identifying, developing, acquiring and commercialising differentiated and accessible medicines that address unmet medical needs. The Company markets nine medicines through its orphan, primary care and rheumatology business units. Horizon’s global headquarters are in Dublin, Ireland. Ultragenyx Pharmaceutical Inc. is a clinical-stage biopharmaceutical company committed to bringing to market novel products for the treatment of rare and ultra-rare diseases, with a focus on serious, debilitating genetic diseases. Ultragenyx is studying investigational UX007, a purified form of a specially designed synthetic triglyceride compound, for the treatment of Long Chain-Fatty Acid Oxidation Disorders (LC-FAOD), including Very Long Chain Acyl-CoA Dehydrogenase (VLCAD) Deficiency; Long-chain 3-hydroxy-acyl-CoA Dehydrogenase (LCHAD) Deficiency; Trifunctional Protein (TFP) Deficiency; Carnitine Palmitoyltransferase (CPT I or CPT II) Deficiency. We are currently conducting a survey to understand how LC-FAOD impacts people’s lives. If you have LC-FAOD or care for someone with LC-FAOD, we invite you to take the survey at www.FAODsurvey.com. 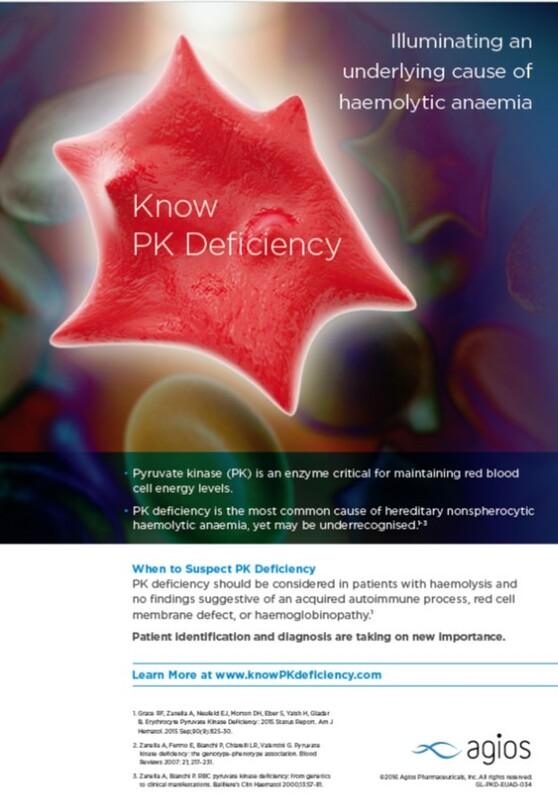 At Ultragenyx, the patient advocacy team is passionate about educating and supporting you: patients, families and caregivers affected by rare and ultra-rare diseases. We understand the challenges facing many rare disease communities, including a lack of information and treatment options. The advocacy team works with patient groups to provide communities with educational materials, and to ensure patients’ needs are shared within our company to guide our work. To find valuable educational resources, hear from others who live with fatty acid oxidation disorders & other rare diseases, and learn more about our commitment to the rare disease patient community, please see visit our new Ultragenyx Patient Advocacy website, www.ultrarareadvocacy.com. For over 20 years, Vitaflo has been at the forefront of developing innovative specialised clinical nutrition products for managing inborn errors of metabolism (IEM). We work in partnership with healthcare professionals, children and adults alike in order to create products that combine the best of cutting edge research with the lifestyle demands of modern living, ensuring the most acceptable products are available. 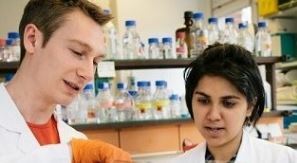 Students4RareDiseases is an organisation formed by five medical students who initially set up The Bart’s and the London Society of Rare Diseases. 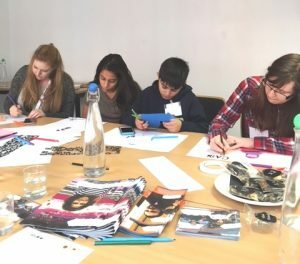 Our aim is to raise awareness and inspire students to think outside the box, and consider rare diseases – by educating them. We understand that we can’t educate on every rare disease, but with enough information we can encourage a rare disease to be considered. Our message to students is that although each diseases is rare, together they are common with 1 in 17 people being affected in their lifetime. We are always looking for interested students and speakers. NICE has published draft guidance recommending the drug asfotase alfa for children with perinatal- and infantile-onset hypophosphatasia (HPP) – a very rare inherited condition affecting between one and seven babies each year in England. Asfotase alfa is recommended as an option for treating the bone manifestations of hypophosphatasia, only: in people with perinatal- and infantile-onset disease and for the duration of, and within the conditions set out in, the proposed managed access agreement. Asfotase alfa is not recommended for treating the bone manifestations of hypophosphatasia in children with juvenile-onset disease. Asfotase alfa is not recommended for treating the bone manifestations of hypophosphatasia in adults with juvenile-onset disease. 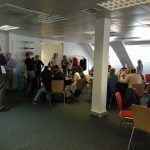 Climb has been patient organisation consultee in the UK Government NICE process – assessing the drug afostase alfa for people with HPP. The Brittle Bone Society have also fully supported this process. Climb has represented patients of ALL ages with HPP from families with newborns through to adults living with the condition. It is our aim to continue to do this in view of the latest outcome. Climb will continue to work in partnership with all stakeholders to get the best possible results for patients and their families. “Whilst we are extremely pleased that asfotase alpha is recommended for children with perinatal and infantile-onset hypophosphatasia, we are disappointed that is not recommended for those where HPP appears later in childhood or in adults. These forms of the condition can have a severe impact on the lives of those affected. 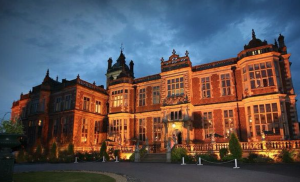 We are delighted to announce the Las Vegas Charity Ball, at Crewe Hall Cheshire on Saturday 25th February 2017! This exciting charity ball is being organised and hosted by the Rotary Club of Bentley Cheshire; a Satellite club of Crewe & Nantwich Weaver Rotary, which was inaugurated in July 2016. 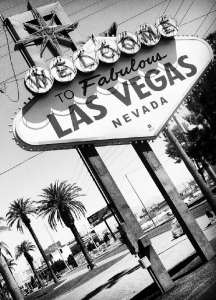 This will be a fantastic evening at a wonderful venue, with dinner, dancing, casino, charity auction, live entertainment including special guest Rebekah Ryan Music and all the glamour of Las Vegas! Many thanks to the Rotary Club of Bentley Cheshire for organising and hosting this event in aid of ClimbHQ and Young Minds. 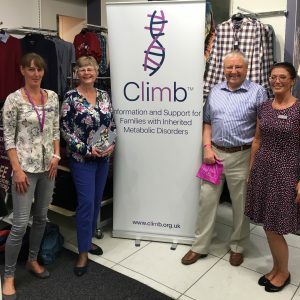 Over 50 people attended a charity fashion show at M&Co on High Street Nantwich on Thursday 15th September, which raised more than £400 for Climb. Models, including staff, customers and their families and friends from the local community, took a turn on the catwalk, showcasing the latest seasonal fashions from the ladies, men’s and children’s collections. 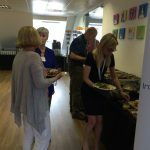 The event was organised by Penny Lewis, Store Manager at the Nantwich branch of M&Co, after discussions with Lesley Greene, the founder of Climb. In addition to the fashion show, the evening included a raffle with prizes such as pamper hampers and a signed book and goody bag from author Milly Johnson. Guests were treated to refreshments and delicious home-baked cupcakes as well as an exclusive discount on purchases in the store. Saturday night favourite the X Factor hit our screens at the weekend, and one singer hoping for the much coveted ‘four yeses’ was Rebekah Ryan from Tamworth who tragically lost her son when he was just three years old. Rebekah opened up to the judges about the heartbreaking loss of her first son Ethan, who sadly passed away after suffering with Sandhoff Syndrome, in 2002. The judges were moved to tears with her rendition of Sarah McLachlan’s Angel, a song which had been played at Ethan’s funeral. Following the show, we contacted Rebekah, who had been supported by Climb throughout Ethan’s illness to congratulate her on her very moving audition. Rebekah told us that she had written a song on the day that Ethan was diagnosed, and had always wanted to release it as a charity single with proceeds going to Climb! 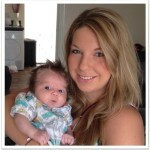 She hopes that her appearance on the X Factor will help to boost her profile and provide a platform to raise awareness. 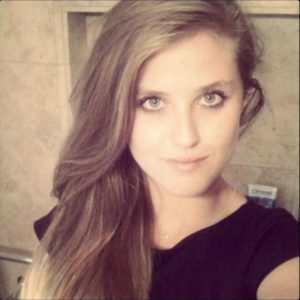 Rebekah feels that she is ready to open up about Ethan, who would have been 18 this December. 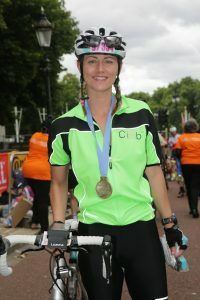 We are delighted to have Rebekah on board as an ambassador for Climb, to help raise awareness of Inherited Metabolic Diseases. In the meantime, we’re waiting for Rebekah’s next appearance on the X Factor, at the Boot Camp stage! We wish Rebekah all the very best with her X Factor journey and really looking forward to working together! Please show her your support by ‘liking’ her Facebook page! 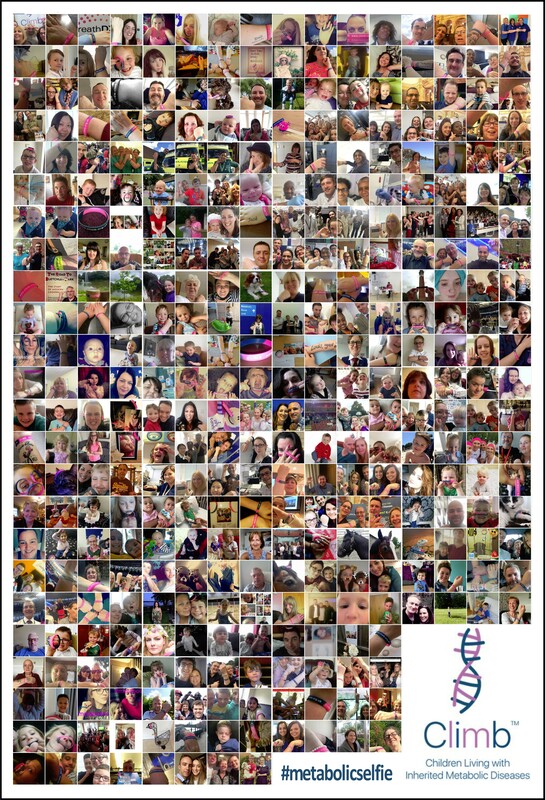 To celebrate Metabolic Disease Awareness Week, supporters of Climb took over social media, with over 360 #metabolicselfies shared! It is estimated that each person has between 200 and 300 followers on Facebook. So, with 360 selfies shared, and an average of 250 followers each, around 90,000 people will have learnt a little bit about what a Metabolic Disease is! We would like to say a massive thank you to everyone who got involved and made this campaign a real success. We’ve had selfies from families, friends and the medical professionals too! Great job everyone! RareConnect is a safe, easy to use platform where rare disease patients, families and patient organisations can develop online communities and conversations across continents and languages. RareConnect partners with the world’s leading rare disease patient groups to enable families and patients to join discussions, share stories and knowledge, ask questions, meet others, and access resources. 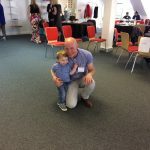 Climb is a patient support group whose mission is to raise awareness and provide bespoke support to families, patients and professionals to improve the lives of those affected by Inherited Metabolic Diseases. Climb supports both children and adults and has vast experience and knowledge of the Urea Cycle Disorders. These two organisations have joined forces to offer families the wonderful opportunity to securely connect with others affected by any of the Urea Cycle Disorders. This community will be patient-led and moderated by families who have experience of living with these conditions. The platform is free to participate in and you can sign up easily at www.rareconnect.org. 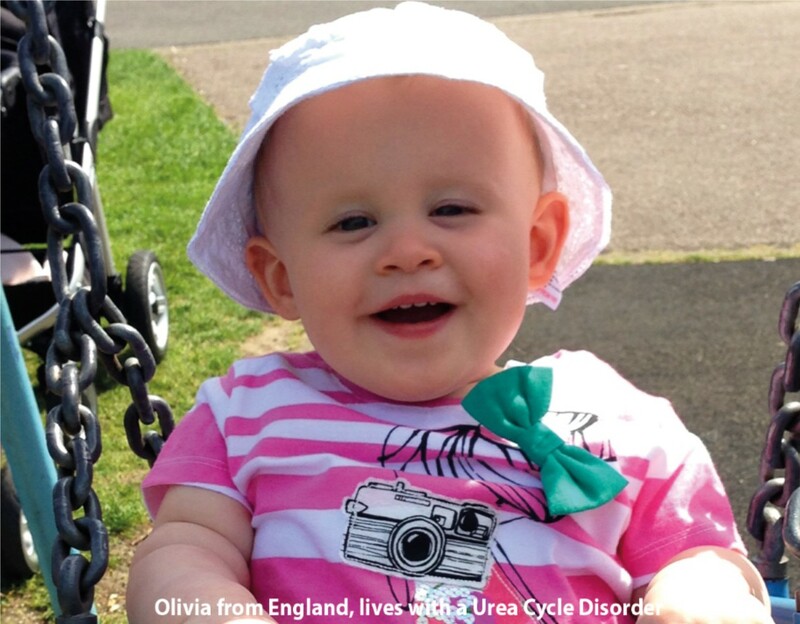 Climb would like to say a massive thank you to all those families and professionals who joined us on the 4th June for our first Urea Cycle Disorder event. 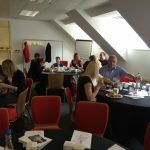 We had over 50 people join us for a really interesting day which saw the launch of the RareConnect network, updates on a potential new drug from Horizon, navigating the NICE Highly Specialised Technologies (HST) Process and an afternoon workshop from Breath DX gathering views on their ammonia breath test prototype. Climb is delighted to be fronting the RareConnect platform for Urea Cycle Disorders and since it’s launch on the 4th, we have seen a steady increase in the numbers who are joining. We will be promoting this more in the coming weeks and we hope to target UCD patients and families worldwide to join this exciting networking opportunity. Climb would like to say Thank You to Alex Aebischer and to Emma Peterson who have agreed to be moderators on the network. At the meeting Alex gave us a truly wonderful insight into her experiences as a parent and gave some real positive advice to other parents. Horizon kindly sponsored the meeting and Kathryn came along from the company to give us an insight into their new drug RAVICTI and told us a bit more about the trials. RAVICTI will soon be going through the NICE HST process which led us neatly onto our third presentation by Nick Meade from Genetic Alliance. He gave an overview of the difficult process and told us about the important work that Genetic Alliance does too. 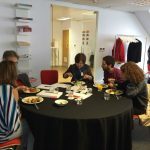 Following a really nice lunch which gave some nice networking opportunities and saw some new friendships being made, we moved on the Breath DX workshop facilitated by Professor David Evans. Professor Tony Killard gave a n over view of the potential new technology and with the help of Professor Julian Hamilton-Shield and Termeh Ahmadraji , we held a great workshop discussing the views of parents on a variety of topics. 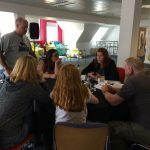 These included the patient / parent information on the technology, views on the product itself and how easy it would be to use, how it worked etc, and finally further workshops and communication with families and how they may like to be further involved. We were delighted with how the day went and we got some great feedback too. We had a great day putting names to faces and meeting everyone. Thank you so much for coming along. We’re excited about the future for our UCD families and are looking forward to working with them more to improve services. 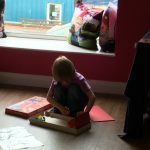 A final thank you to Scalliwags Mobile Creche Services who provided a lovely relaxed space and care for the younger children. Last month saw the 1st birthday of BreathDX a UK company driving the design and development a system to measure ammonia levels in IEM patients from their breath rather than blood. 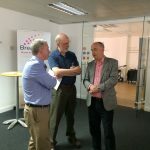 Thanks to the help from the CLIMB community BreathDX now have over £1m from UK funding bodies to develop and bring the AmBeR IEM breath measurement product to market. Professor Tony Killard Chief Technology Officer with BreathDX said ‘we aim to alleviate some of the day to day challenges for IEM patients and their families to provide a simple breath test that measures and tracks their ammonia levels. We are excited to have a pathway set out where we can now clinically evaluate it and ultimately produce a device suited to use at home’. November 2015 saw the start of a single centre prototype evaluation study. A multicenter study kicks off in April 2016. Climb is delighted to be a part of this innovative project. We are thrilled that our families have really come together to express such strong views on how much of a positive difference the development of such a technology would make to the management of UCD’s. We too would like to thank the families who have shared their personal thoughts and experiences to help with this project. 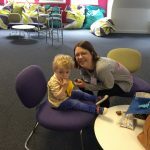 As always, they have been extremely valued and they really help to give all those involved a unique and important insight into what it’s like to live with a rare disease. We’d like to also express our gratitude to BreathDX for ensuring our families are kept up to date with new developments and we look forward to continue to be involved as this project moves forward.